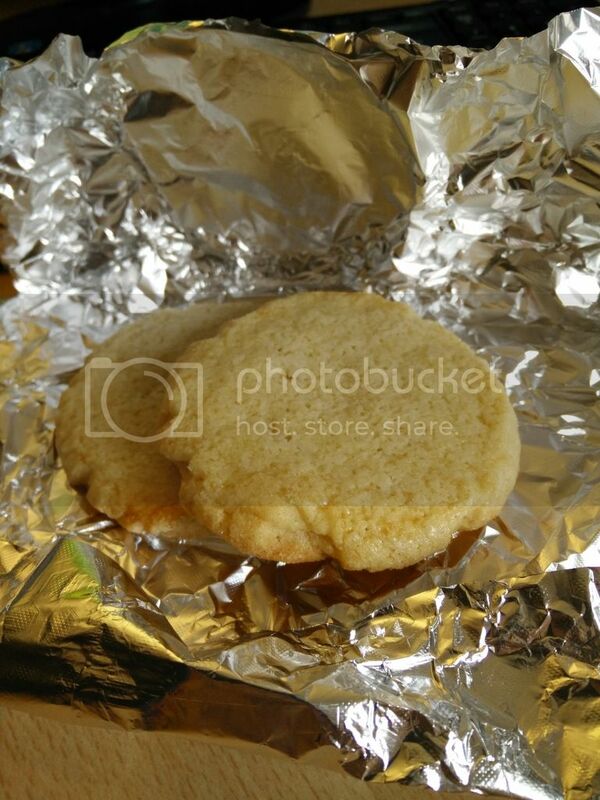 Hints on how to get the thickest, softest, bakery style sugar cookies. It’s the best sugar cookie recipe around! If you love sugar cookies, see all of our recipes here. You’re about to meet the best little sugar cookie your hands will ever hold. They hold true to the same characteristics of our bakery-style chocolate chip cookies: thick, lightly crisp around the edges, but oh, so soft and chewy in the middle. Our sugar cookies might look like an average cookie, but today we’re sharing a few hints with you on how to make the best sugar cookie. A sugar cookie that is anything but average. Let me tell you how these came to be. I started with this chewy sugar cookie recipe and adapted it just a tad to give it unbelievable taste and texture. Yes, the recipe itself is extremely important, but the technique and ingredients are what you want to pay close attention to here. To start, you’ll make a sugar cookie dough just like you would any other cookie dough. Add the ingredients into a stand mixer and mix them well. There are a couple of key ingredients that you’ll want to note. The first is the flavoring that we use. What gives these Bakery Style Sugar Cookies such a uniquely fresh taste is LorAnn’s Princess Cake & Cookie Bakery Emulsion. You can find this emulsion on Amazon, or in your local Hobby Lobby and sometimes even Walmart. It is described as “light and nutty” with “citrus and vanilla undertones”. Since most everyone uses vanilla in cookie recipes, this water-based emulsion gives a different taste that everyone loves. I am always asked what kind of flavoring I use in these cookies and today I’m giving away that secret. You’ll notice that the emulsion has a hint of citrus. I also add in a touch of lemon juice. Don’t worry…the cookies are not going to be overpowering with lemon flavor. It’s just a subtle, bright, fresh flavor. Our second ingredient secret is actually a new addition to our cookie. A few weeks ago I got the opportunity to test Land O’Lakes new European-style butter. I’m usually a skeptic when it comes to name brand ingredients being better than store-brand, but let me tell you. Land O’Lakes made a believer out of me with their new European butter. It is churned with sweet cream and has a higher milk fat content which creates cookies that are unbelievably thick and rich. Oh, and Land O’Lakes is not paying me to say this. They simply sent me 4 sticks of butter. One batch of cookies later and I was a believer. Don’t just take my word for it. Let me show you the difference. The cookies on the right are made with regular butter. Delicious? Yes…but they are flat. This is how we’ve made our cookies the past year and everyone has loved them. The cookies on the left are made with European style butter. The difference is obvious. If you like thick, chewy, rich cookies, this is the butter you’re going to want to buy. I will always use European style butter now in my cookies. Let me quickly walk you through the technique of making the cookies. You’ll see that our method is similar to our other bakery style cookies. Scoop the dough with a large ice cream scoop and place the dough balls on a non stick baking sheet. Press them lightly with a glass that has been dipped in sugar. Pop these pans of cookies into the fridge for at least an hour. Brush the tops of the cookies with a bit of homemade buttermilk, made simply with heavy cream and vinegar. Don’t skip this step. This little tricks makes the top of your cookies just perfect. Sprinkle more sugar on top. Use colored sprinkles if you’d like. Perfect for showing team spirit! Bake the cookies at 375 for 9-10 minutes. Don’t overbake them. Taking the cookies out just before they turn brown ensures that the cookies will be soft and chewy for days. If you can resist eating them, that is! If you follow all of these steps closely, you’ll end up with cookies that will rival the best of bakery cookies. Q: We’ve shared some things that make the perfect sugar cookie for us. What is your ideal sugar cookie? Well, these look good . Where are we supposed to get the European butter and the cake and coolie bakery emulsion? I don’t think I have ever seen it in our grocery stores. We have a pretty darn good grocery store and they do carry a lot of butters etc. this dough doesn’t look like it could be rolled out and used with a cookie cutter and is it a moist cookie? When i could eat sweets — SUGAR COOKIES were my go-to for sure!!!! European butter you don’t say? I have got to try this because they cookies look amazing! Thank you for risking your waistline and your tastebuds to come up with the perfect recipe… it definitely looks like you succeeded. Isn’t it amazing how a small change like the kind of butter you use totally changes the results? I’ve turned into a total butter snob ever since I discovered a high-quality European butter that my local Costco carries. Now I just need to figure out where I can track down this magical emulsion! I made this recipe this weekend and they are yummy but I think they lack some taste. I didn’t have the LorAnn Princess Cake & Cookie Bakery Emulsion, though I did have that same emulsion but I had the Buttery Sweet Dough Flavor from LorAnn so I used that and a little bit of vanilla. Hi there, Laurie! I definitely think the princess cake and cookie emulsion is a must for flavor. It has such a light, fresh taste that I just love. Much lighter than butter flavoring. I’m not sure if all butter where you are is European butter. Ours is specifically named that, but it does have a high milk fat content so maybe you can check that. It also looks like you cooked them longer than I do. If you like a crisper cookie, that’s totally fine, but we like ours to be softer and take them out before they turn brown. Thanks so much for sharing your pic! Yes! They just won’t take as long to cook. If you freeze these cookies, do you let them thaw completely like you do the chocolate chip cookies? Do you mean the cookie dough? or the baked cookies? If I freeze cookie dough, I usually let it defrost in the fridge so that the dough is cold, but not frozen when I bake it. If I freeze the cookies, let the cookies completely thaw before opening the container so that the moisture and freshness stays in. 🙂 I hope that helps! If I’m going to freeze the raw dough….do I still brush with the buttermilk prior to freezing? Or do I wait until they are thawed and before I bake them? I usually wait until they are thawed before brushing with buttermilk. I made these today. Wonderful! I substituted some things. Forgot we were out of granulated sugar so I used powdered sugar instead. Used margarine, but did not add salt. Did not have the emulsion so doubled the Vanilla. Instead of the cream, regular milk with the vinegar to brush on. and did have enough granulated sugar to sprinkle. Did not chill dough. Turned out A+++++++ Real Bakery Stylesugar Cookies. Thanks this recipe is a keeper and The best one I happened upon so far ever!!! Awesome! And thanks for the substitution hints! The cookies tasted great. They were a little flat though. What did I do wrong? What type of butter did you use? This recipe showcases the cookies with European butter, which has a higher fat content and makes the cookies thicker. I used Lurpak, a Danish butter. I’m going to try these cookies again with a different brand European butter. I cant find the brand you used in my area. Also, what is the purpose of the buttermilk on top of the cookie? I’ve never seen that before. It just gives it a little bit of extra flavor and texture on top. We’ve left it off before, so feel free to do that. Do you have a similar recipe that I can use to make cut out cookies? I see an earlier comment that this recipe wouldn’t work well for cutouts as they spread. Thanks! This recipe looks very good…I’m going to make them for Christmas. I’m not much on lemon in my sugar cookies, what can I substitute for the lemon juice? More of the emulsion or vanilla extract? If you can use something slightly acidic, that would be good. I don’t really think you’ll taste the lemon juice much, but replacing it for a touch of orange juice or something would be good. You might just be able to leave it out, but we haven’t tried that. Followed the recipe to the T and I can honestly say that these are the BEST sugar cookies I have EVER ate!!! One of my pet peeves is folks who change a recipe and then blame the inevitable results on the recipe! Made several batches for family and friends and now they all call me the sugar cookie king!!! Eeks! Just started mixing. Is your butter salted? Do you add any other salt? My butter is not salted. I do use salted butter. I’d add a pinch or so. Maybe 1/4 teaspoon. They sound delicious! Is butter from Ireland ok? I believe it has a higher fat content! I’ve seen that and I think it would work but haven’t tried it. Thank you!